Interviewing a Deaf person for a job? • Don’t spend half the allocated time showing your fingerspelling skills that you learnt from a deaf girl at school when you were seven…. Yes this really does happen and the fake smile we have to put on hurts! • Please avoid talking too slowly and over enunciating your words … it doesn’t help us understand you and you look just like Wallace from Wallace and Gromit! • Please look at us when you speak to us. If you’re using a BSL interpreter don’t look at them… Errr hello! We’re over here!! Please look at us when you speak to us, you are interviewing us after all! • Don’t tell us how amazing we are that we have managed to overcome so many challenges. Ok we know we’re fab, you know we’re fab, so give us the Job! Seriously though it sounds like you pity us and no one wants that. For more information about our disability awareness training please visit enhancetheuk.org, follow us on twitter @enhancetheuk and find us on all social media channels – just search for Enhance the UK! 1. The correct venue is vital…. Inviting a wheelchair user to a business meeting? Think about where might suit them. It’ll need to be step-free, and if your office is on the 4th floor without a lift, the meeting will be a flop before it’s begun! 2. Parking and Public transport … are also very important. Regardless of where you meet, make sure that there’s accessible parking and/or an accessible tube station or bus stop nearby. If all else fails, offer the person an accessible taxi. 3. Accessible Bathrooms …. Everyone gets nervous before a meeting or interview, and there’s NOTHING worse than being unable to relieve yourself because you can’t even swing a cat in the tiny toilet cubicle. 4. Allow time … We live in a very fast world, where deals are made and meetings are over within minutes. Try and leave a bit more time in your diary for a disabled person. It’s nothing to do with sympathy; it will just allow them time to get a coffee, freshen up and settle without feeling it’s a race! 5. Just ask!… Anything you’re unsure of, just ask! Chances are, the wheelchair user will be able to tell you everything you need to know, so you can prepare for the perfect meeting. Good luck! How can we bridge the disability employment gap in the UK? There has been a lot of press coverage recently about how the Government is falling behind its own targets to have more than 60% of disabled people in work by the end of the decade. The number of people with disabilities in work is low. Less than half of working age people with disabilities in the UK are in employment, compared to 76% of non-disabled adults. This gap equates to two million disabled people, currently excluded from employment. Why does this gap exist, and how can it be closed? This is no surprise to me unfortunately, as from my own personal experience I have found that many people and organisations have no intention or wish to employ disabled people. Obviously they will never openly admit this, but from someone who has had their ear to many senior managers in organisations large and small the truth is often more brutal. Why am I not surprised you might ask? Well I spent more than 10 years working in the recruitment industry, supplying people into the media and creative sector from all ages and levels of experience. And I have a disability. So with the combination of the two, I’ve seen how when you look at the recruitment process, disabled people are still being excluded from the system in many ways. My disability is degenerative and I spent most of my 20s and early 30s hiding my disability from as many people as possible. I did tell my managers and close colleagues, and kept it hidden as much as possible. My reasons were quite simple. As soon as I told someone that I was partially sighted with hearing loss, I could see the immediate reaction and it was rarely positive. Most of the time people just looked like a rabbit in the headlights and didn’t know what to say apart from “I’m sorry”. You can see their inner monologue shouting at them to ‘act naturally’ or ‘don’t say anything stupid’. By this point I’ve realised that our work relationship has changed, and unfortunately I was never confident or experienced enough to know how to handle these situations myself at the time. There is no training manual given to people with a disability on how to deal with embarrassing or awkward conversations. I was one of the fortunate people that have a disability and have been mostly in employment for the past 20 years of my life. But the reality is that less than 50% of people who have a disability in the UK are employed. So what can we do? The government seem to think they have a solution, but at the moment it’s not working quickly or effectively enough, as the recent statistics show. In my opinion a lot of the failings start with poor communication and a lack of understanding. Sure there are more and more organisations that are fulfilling the two tick kite marking system (where they guarantee that an applicant with a disability will get an interview, as long as they meet the standard criteria). This system works for larger organisations usually within the public sector, but there are many many private companies who do not employ this strategy or have any reason to. When I was working in recruitment I spent a lot of my time helping candidates improve their chances of getting the job they wanted. This was through guidance with their CV, giving them interview tips and techniques as well as general information and help. Having a disability myself I noticed that I was always more astute and aware if someone had a disability or impairment. I found that in most cases people with a disability didn’t know how to broach the subject when applying for a job. Do they put something on their CV? This is generally seen as the human shop window and people find it very hard to write about themselves, let alone know how they would broach the subject of a disability. Then there’s the question of whether they tell the company before they have an interview so that the organisation can make reasonable adjustments if needed. The whole area is a minefield and often makes the person with a disability feel more isolated and highlighting their difference even more. I’m sure there were a lot of candidates who had some impairment but was keeping it secret, like I did for so long. Unfortunately many organisations do not do themselves credit when it comes to the point of encouraging people with a disability to apply for a job. It’s normal for an employer not to have met someone in a wheelchair or a guide dog owner within their work day to day life. They see plenty of information if they’ve watched the Paralympics or seen a cute guide dog programme on the TV. Although one in five people do have a disability, the reality is that you just don’t see enough disabled people in the workplace. One particular example springs to mind where I was helping a media organisation hire a typesetter to help design their newsletters. I had a very strong candidate apply who met all the criteria of the job and had all the experience required, it helped that she had a warm and friendly personality. She had a visual impairment and needed a screen magnifier. This came from a manager of an organisation with over 1.000 employees in one office alone. How could I respond to that? I was completely flabbergasted and somewhat aghast, especially as they were my client and I had built up an excellent relationship with them. I just didn’t know how to reply. I received an official email half an hour later which explained that the reason they didn’t want to take her application any further was because they didn’t feel she was “a good team fit” and that she didn’t have quite enough experience of working on one piece of software (she did). When it came to passing my feedback onto the candidate, I decided to try and be honest without intentionally upsetting her. Once I explained about how they just didn’t think she’d be a fit within the team she sighed and said “It’s because of my eyesight isn’t it?” I was crestfallen for her, having had my own knockbacks and rejections due to having a disability I totally understood her resignation of it being about her disability and not her ability to do the job. The fact remains that the company officially didn’t hire her because of fair reasons, but I know the truth which was quite simply discrimination. During my tenure as a recruitment consultant it became clear to me that discrimination in many forms was still very apparent, and often not subtly hidden. Particularly with regards to disability. I don’t want to generalise but Scope conducted a survey where they discovered that 67% of people actively avoid approaching someone with a disability as they’re afraid of doing or saying the wrong thing. It’s not difficult to transfer that to the workplace and discover that many people quite simply are scared of disability, or the unknown. Since I’ve started as a Disability Awareness Trainer it’s made me even more aware how far we have to go with regards to breaking down these barriers of communication. Until disabled people are fully welcomed socially and with open and honest communication there will still be a real problem bridging this disability employment gap. I’d like to hope that organisations will start to look at their internal teams and think about whether they’re doing enough to be inclusive. A good start is making sure that all Managers and HR staff know the best way to communicate with someone with a disability. Making the organisations self-aware and looking at how they can improve accessibility, whether it be socially, or physically. Once these barriers start to come down, then we can look at how companies can encourage more disabled people to apply. Until we start being more honest and open about our inexperience and lack of communication skills, this gap will never disappear. 1. Never underestimate the power of planning…. Not all hotels on the Internet really are as wheelchair friendly as they say they are. Do your research and pick up the phone if necessary. 2.Knowing the local lingo always helps … even if it’s the odd ‘please’ and ‘thank you’, or being able to direct a taxi driver ‘left’ or ‘right’, this will make you friends, save you time and money! 3.Checking out transport is a priority …. There are many places that have accessible attraction and accommodations but appalling transport systems. Budget for private drivers or cabs if necessary! 4.Help is more available that you may think … When alone, trying to navigate strange roads, signs and attractions in my wheelchair, I’ve often been inundated with people offering to help me and show me around. Less accessible places can definitely create lasting friendships. 5.Make sure you’re aware of any perks that may come your way… Whether you’re going to a cinema or theme park, alone or with company, it’s very rare that concessions are not available wherever you are in the world. Make sure you use them!! ‘Reasonable adjustment’ for anyone with a disability to access their premises and have the same experience as any other consumer. 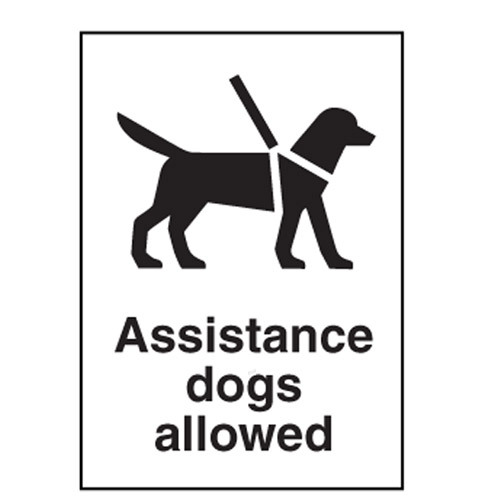 In our experience at Enhance the UK we find that people with assistance dogs unfortunately do often get access refusals. The company are breaking the law and this guide is an outline for the steps you could take. So what do you do if you feel you’ve been discriminated against by a service provider not making these reasonable adjustments and allowing you and your assistance dog the same access rights as any consumer? In the first instance it’s important to get the name of the manager and any members of staff involved in this access refusal, so either call up and get the details afterwards or get someone else to go help getting the information for you. Once you have these details you then have two choices on how to take this further, and it depends on the severity of the discrimination and also your own feelings on what recourse you want from the service provider. Firstly you can try to contact the manager directly either by phone, email or a personal visit. You should prepare to explain how you felt discriminated and what you think the organisation should have done. In most cases the manager will take this seriously and give you a satisfactory conclusion. In this letter you should make it very clear how you were discriminated and refused access, and how you felt. You should also suggest steps they could take to ensure this doesn’t happen again e.g. staff training on assistance dogs, ensuring an assistance dogs sticker is prominently displayed etc. It is important to print out and post the letter (you can send an email as well) as you can send this via the post office to ensure it is signed for and received. You give the company 28 days to reply to your letter. If it is a large organisation and you know they have a social media presence, then you can also spread the word via their facebook or twitter profiles. It’s important not to be seen to slander the company, but you should feel comfortable contacting them through these channels. Social media is very powerful and you may find that you get a quicker response this way. Hopefully you will receive a positive response from the organisation after this time and you feel that they have taken your complaint seriously and taken steps to address this personally, and ensure it doesn’t happen again. If you feel that your case is serious enough and you have not had any positive response from the organisation, then you should think about seeking legal advice. You can get free advice on what steps to take from the Equality Advisory Service. You could also seek advice from your local Citizen Advice Bureau or the Equality and Human Rights Commission who could take direct steps on your behalf. Finally you could look to contact a private law firm who specialise in discrimination cases, there are many that work on a no fee no pay basis. The important thing to remember is that you’re not on your own, and there is plenty of free help and advice around to support you. Hopefully having taken these steps you have now given yourself the confidence to ensure that if you are ever refused access in the future, or receive discrimination from a service provider you now have the steps to take to ensure your complaint is taken seriously.